Shadowed Predator Black Panther Statues. 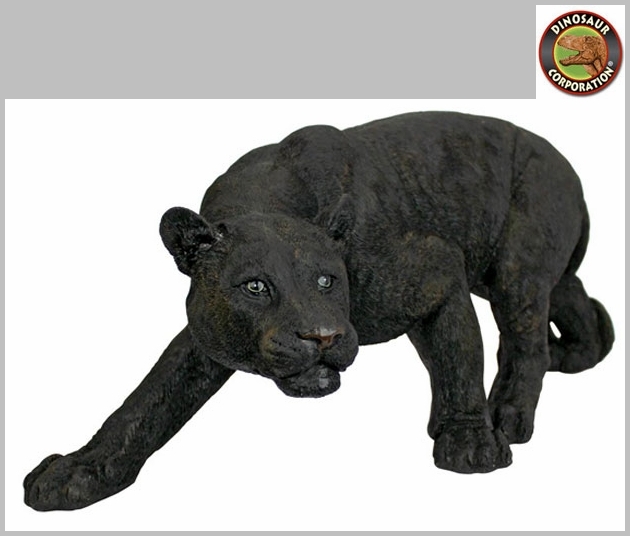 The heart of African wildlife is captured in our nearly two-foot-long, garden predator Black Panther sculpture. 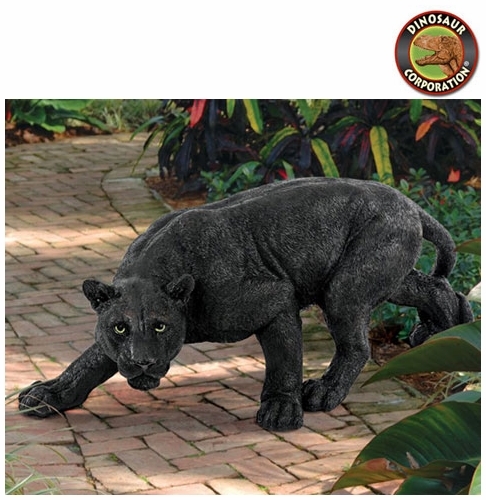 Our artist has taken great care with the panther's credible pose and realistic eyes to create a fitting addition to your home or garden. This fiercely beautiful Black Panther garden sculptureis amazingly detailed, cast in quality designer resin, hand-painted to herald the dark side of the jungle. * Small: 22" W x 6�" D x 10�" H. - 6 lbs. * Medium: 26" W x 11" D x 10" H. - 8 lbs. * Large: 33�" W x 10�" D x15�" H. - 13 lbs. * Grande: 52�" W x 20" D x 21" H. - 26 lbs.